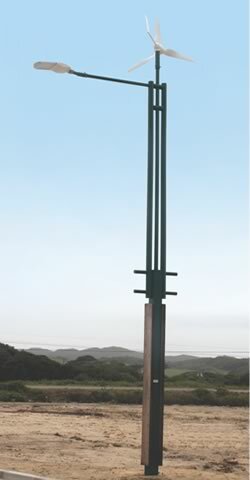 We pride ourselves in designing attractive poles, arms and brackets to support one or two solar panels, according to our clients’ specifications. 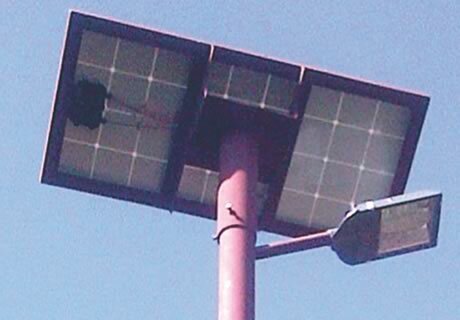 We offer the total package on solar streetlights at very competitive prices. Projects such as Kidds Beach, Bushbuck Ridge, Pietermaritzburgh, Witbank Mine and Medunsa University were completed successfully with our solar and wind turbine solutions. Furthermore, Lighting Structures have been supplying the DRC with a total solar streetlight solution since 2014 with great success.